When we were knee-deep in cold and flu season, I seriously thought junior kindergarten would NEVER come to an end, and all of a sudden it’s the beginning of June and I feel like I have no idea where the time has gone. Of course, this is partly due to the fact that we decided to move on a whim 3+ weeks ago and my head is still reeling from all that I have to do, but even though I feel incredibly overwhelmed with all that is on my plate right now, I am so incredibly happy we made the last minute decision to uproot our sweet girl with only 6 weeks left in the school year. Way back in August, when our daughter’s preschool announced they would be offering a junior kindergarten program for the 2015/2016 school year, we were faced with a tough decision. We assumed the transition to a full-day program at a new school would be overwhelming for her, and since we knew we were moving the following summer, it seemed like a silly thing to undertake. So we decided to stay put and take advantage of a smaller program where she would get a lot of one-on-one attention so she could brush up on all of the skills she would need for senior kindergarten the following year. For the first few months, I was so incredibly happy with our decision, but as time wore on, it became increasingly obvious we had held her back. She was in a class with preschoolers who were significantly younger than she was, and each time I dropped her off in the morning, I felt sick to my stomach that I had made a huge mistake. So when she cried every single morning for 2+ months because she didn’t want to go to school, my husband and I decided to ask her if she would like to change schools now rather than in the fall. She wanted to go to her new school the very next day. I initially thought we were making a HUGE mistake by uprooting her so close to the end of the school year – did she really understand what she was agreeing to? – but she has flourished so much in the last 3+ weeks and I regret that I waited as long as I did to make the move. And now I’m on a mission to find the perfect DIY end of year teacher gifts we can make together in time for the last day of school. I’ve always been MUCH too lazy to make anything for our teachers in the past – I’ve always opted to go the safe route and buy gift cards – but now that my little one is finally showing an interest in arts and crafts, I’m all about adding a little bit of personality to our gifts wherever we can. 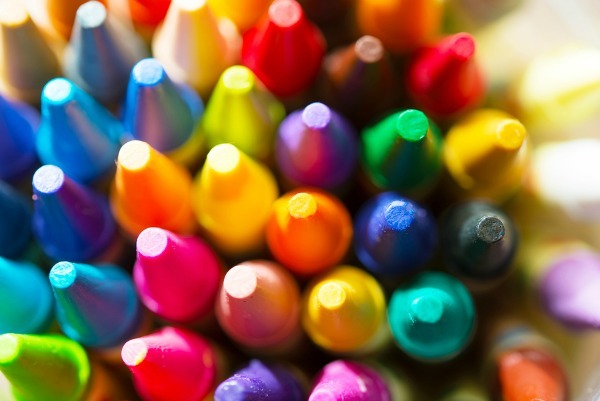 Some of these teacher gift ideas are more suited for preschool and kindergarten teachers, while others will work all the way through grade school, and we really love #15! Oh! And before I forget… I recently discovered 3 FABULOUS kids activity books for summer that are filled with heaps of great boredom busters to keep you and your kids from climbing the walls. You can buy them Barnes and Nobles or through the Amazon affiliate links below here: 101 Kids Activities That Are the Bestest, Funnest Ever! by Holly Homer and Rachel Miller, The 101 Coolest Simple Science Experiments by Holly Homer, Rachel Miller, and Jamie Harrington, 150 Screen-Free Activities for Kids by Asia Citro. And now for those DIY teacher gifts…! Here’s to a happy, healthy, and safe summer! 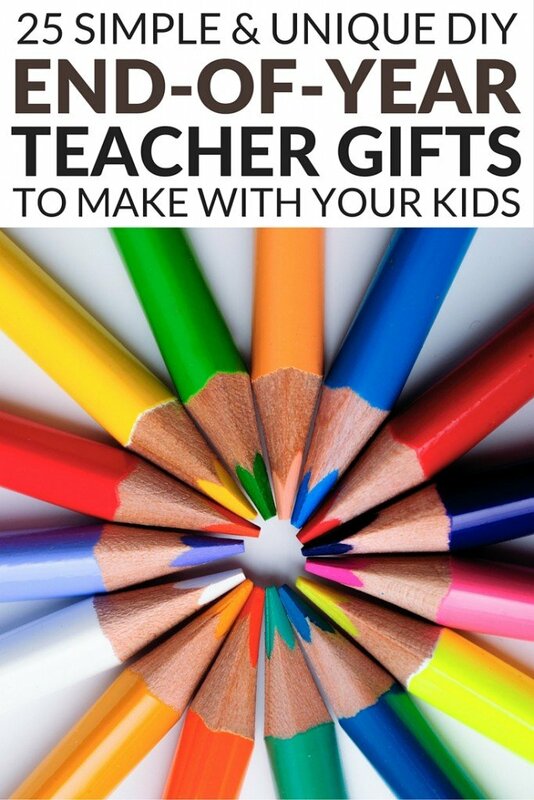 If you liked this collection of end of year teacher gifts, please share it on Pinterest!